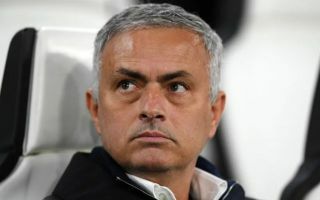 Man Utd face Fulham on Saturday afternoon at Old Trafford with boss Jose Mourinho desperate to see his side return to winning ways. The Red Devils are winless in their last four Premier League outings, losing to Man City before being held to draws by Crystal Palace, Southampton and Arsenal. That in turn leaves them eight points adrift of the top four, and so they can ill-afford to drop any more points if they wish to close that gap and keep their Champions League qualification hopes alive this season. With that in mind, Mourinho has unsurprisingly picked the strongest line-up available to him as he has been hit with injuries again this week. However, the one glaring absentee from the starting XI again is Paul Pogba, as the Frenchman starts on the bench, as he has done against Arsenal and Young Boys in recent weeks. Anthony Martial misses out due to injury, as reported by the Mirror prior to the line-up being released, which is a massive blow considering he’s bagged seven goals in his last eight Premier League outings. Meanwhile, Fred remains on the bench too with Mourinho noting in midweek that the summer signing won’t be given a more prominent role until his side are tighter defensively.
? Today’s #MUFC starting XI to face Fulham.